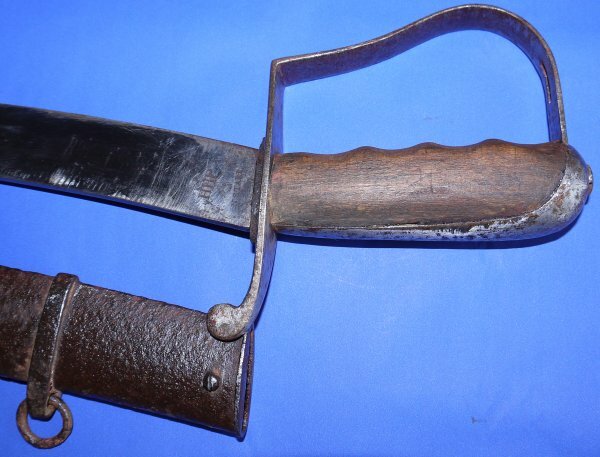 In aged but good condition, a scarce US Nathan Starr Model 1812-1813 Contract Cavalry Saber. 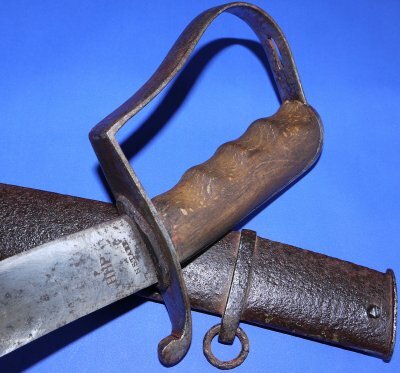 A pre-1817 US Nathan Starr Model 1812-1813 Contract Cavalry Saber. Bought in the UK, this may well be a battle trophy brought home by a British soldier from the War of 1812. The war was considered to be a stalemate / draw. 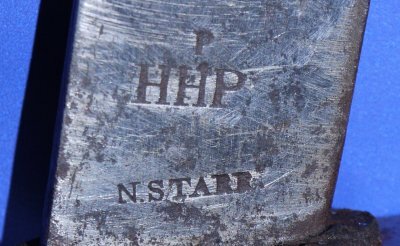 Marked to the forte / ricasso "“P / HHP / N. STARR” which means "proved" by inspector HHP (Henry H. Perkin), made by Nathan Starr. Nathan Starr of Middletown, Connecticut was the leading sword maker in America from 1798 to 1830. 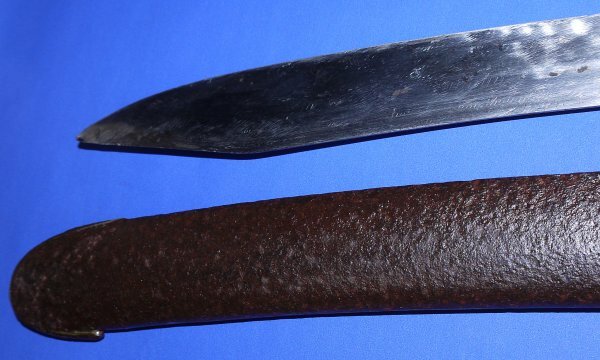 The 33 5/8 inch blade is sharp and in good aged condition, plus firm in the hilt. The hilt with age and some light pitting. The wooden grip with age / wear; the grip is the rarer pistol grip shape version (as can also be seen here). The steel scabbard is aged with inert rust pitting and even a couple of rust holes, plus a couple of kinks, yet is sound; the sabre sheathes and draws very well despite this. 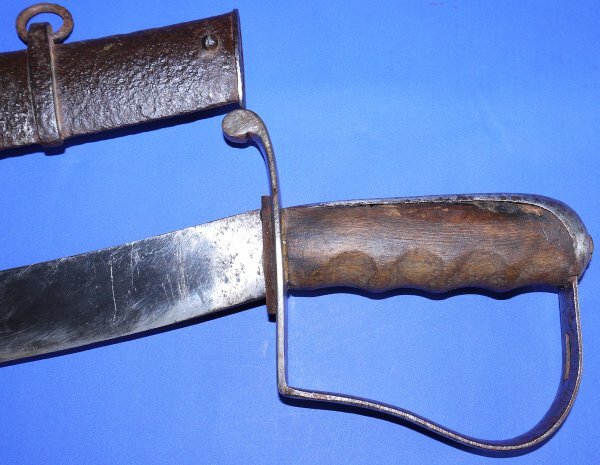 A scarce sword made highly desirable by this one's scarce grip type and likely history. Yours for £1000 . Please quote item reference R86. Further / full sized images available upon request. Box 0575-121x17x17 (2.360).